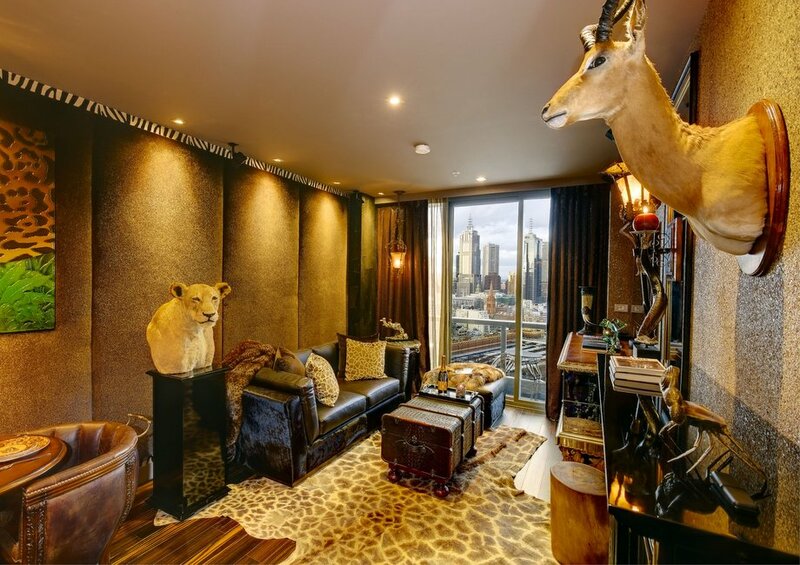 This iconic one-bedroom sanctuary offers a sample of east African aesthetics, in the comfort of a stunning freshwater apartment. 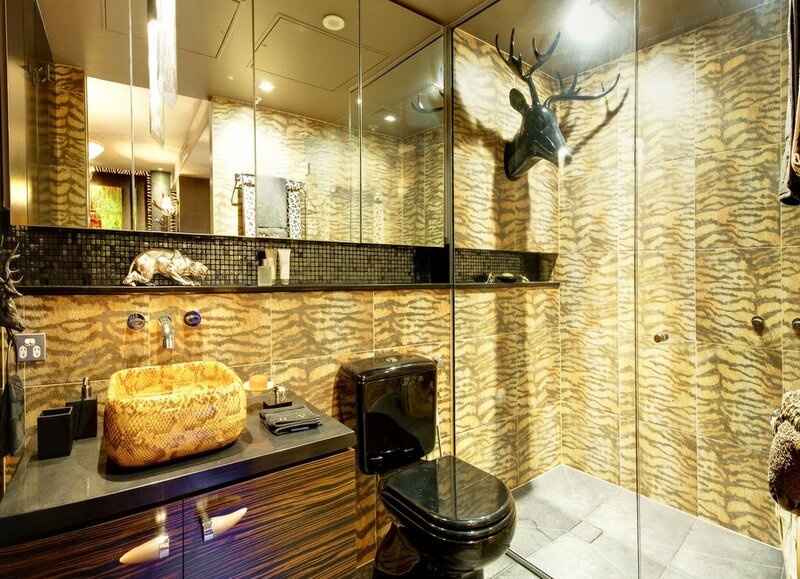 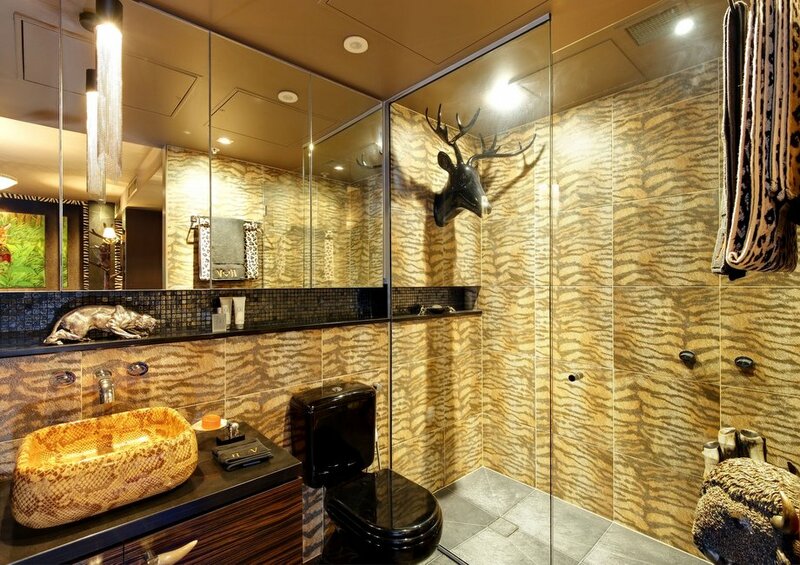 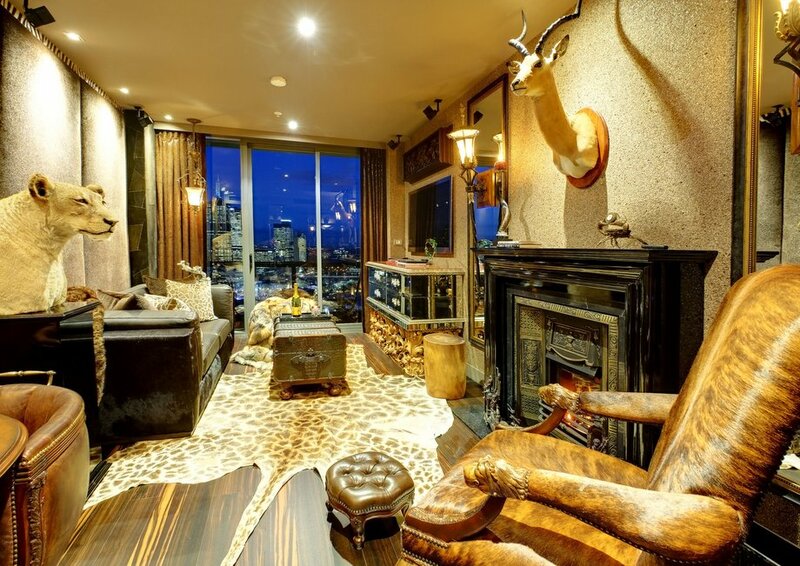 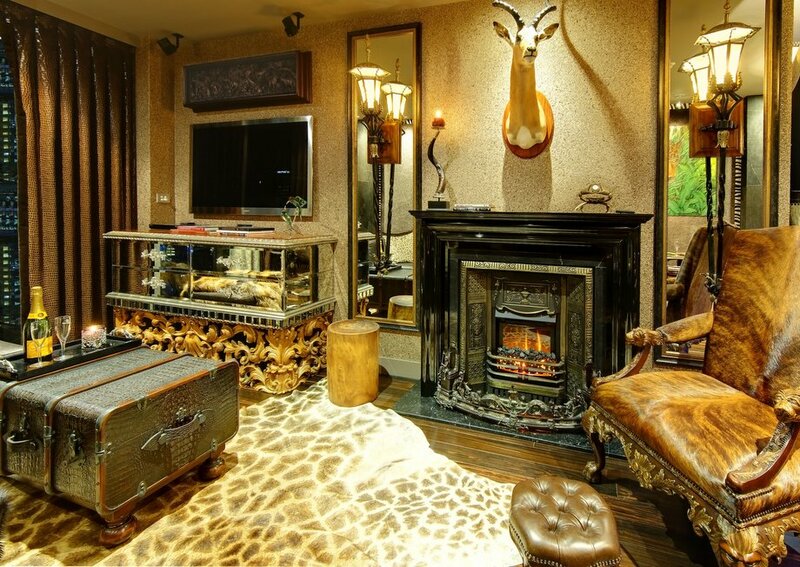 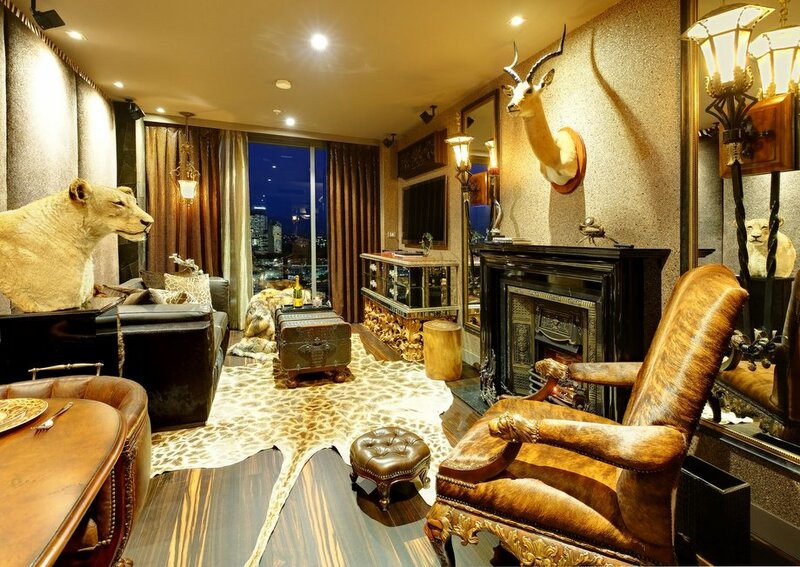 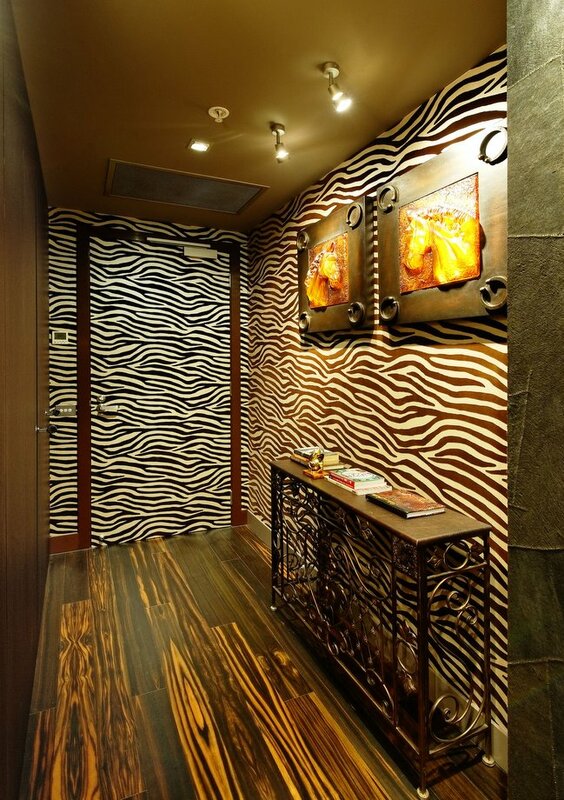 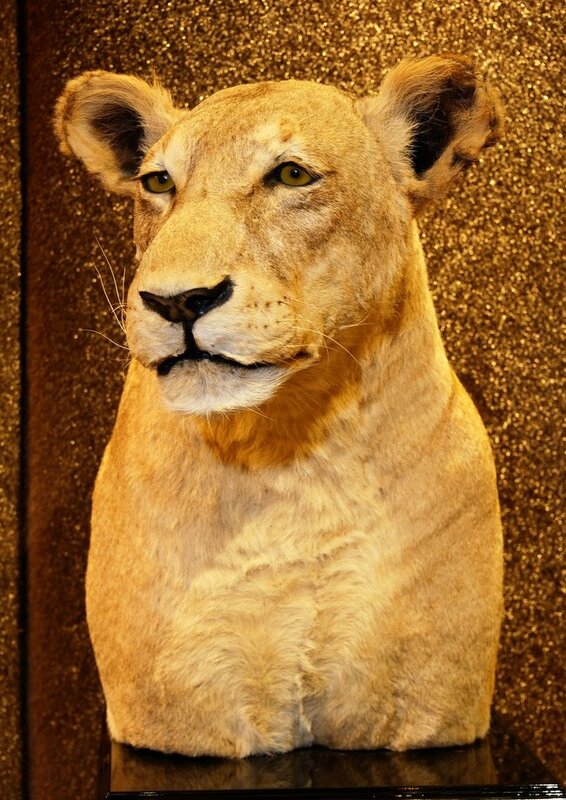 The African theme, with a strong animal-print motif, uses texture, colour and warm finishes to give the space a glow that talks comfort, sophistication and luxury. 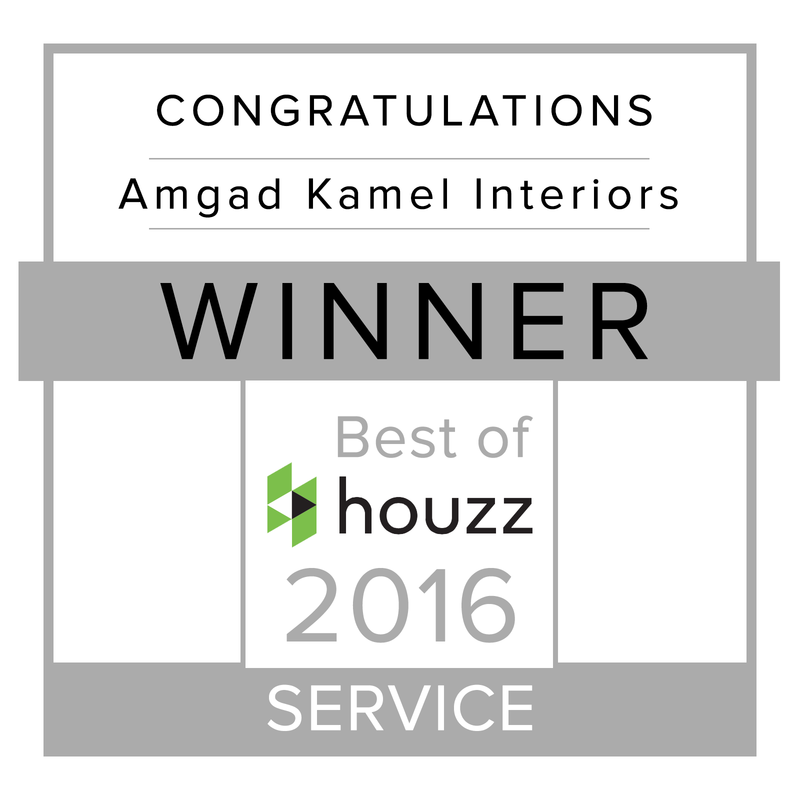 In order to create the look and feel envisaged by our client and Amgad Kamel Interiors, we sourced materials and finishes from 14 different countries across the globe. 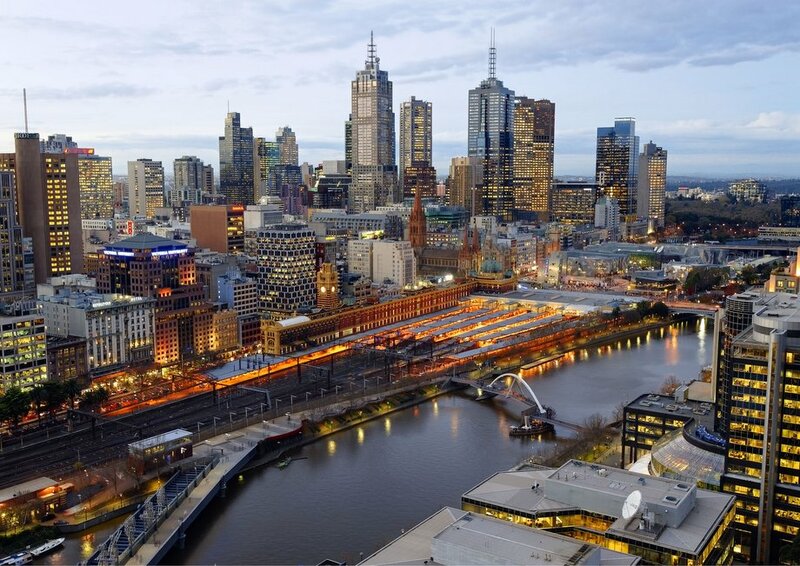 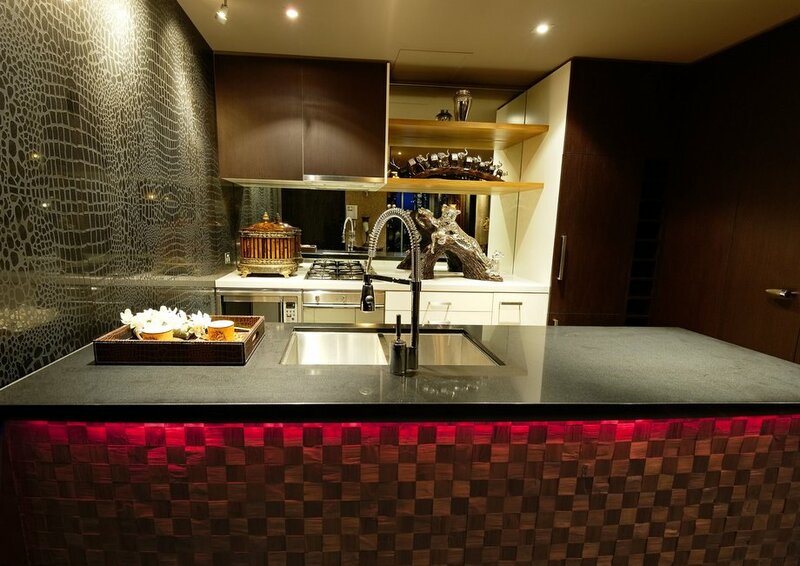 The process however, proved worthwhile with a finish that seamlessly tied together every feature and texture to create one harmonious visual effect. 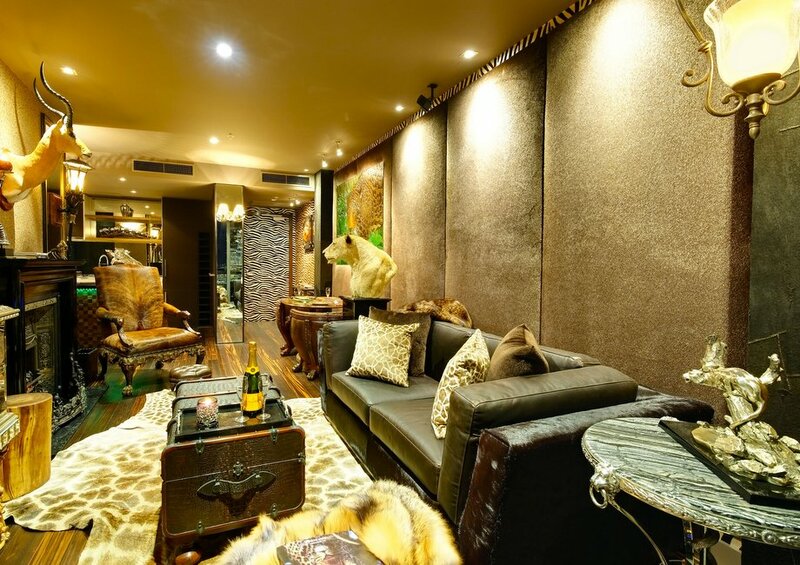 A collection of textured wallpaper, detailed glass work, textured interior finishes, upholstered wall panels, hand carved furnishers, lighting effects, dramatic interior accessories all cumulatively bestow this room its warm and plush aesthetic. 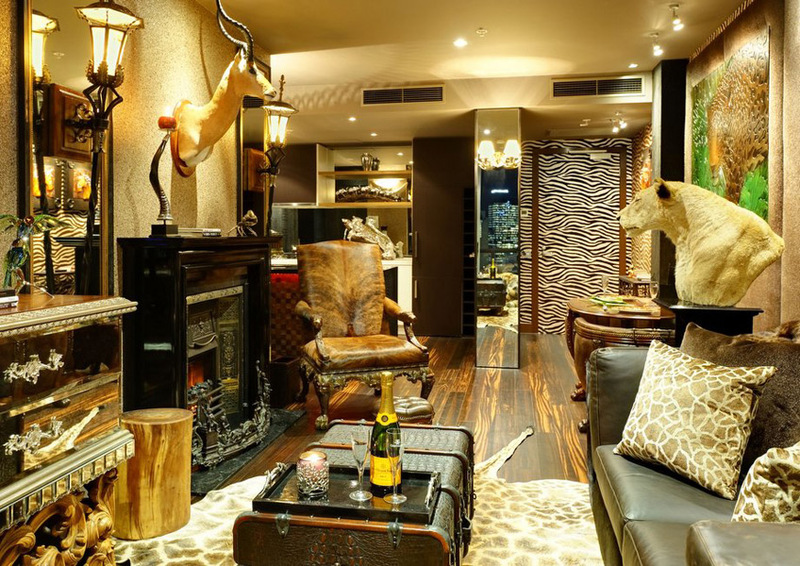 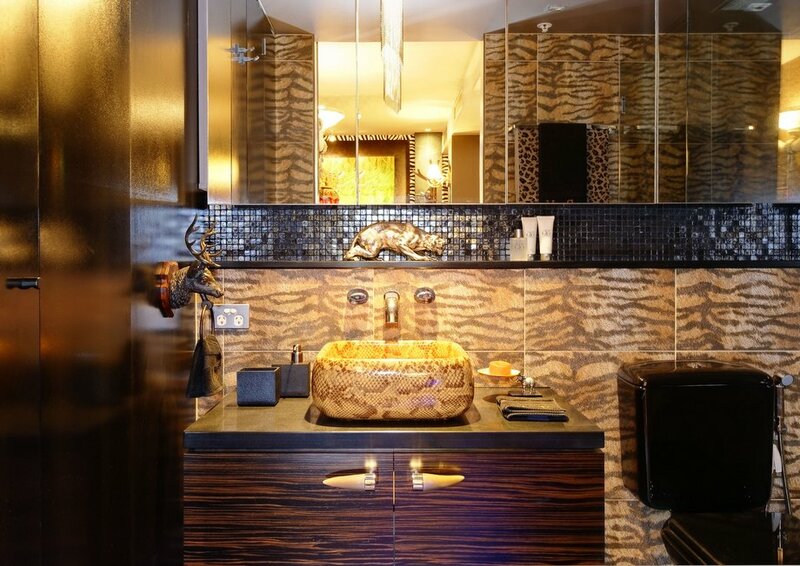 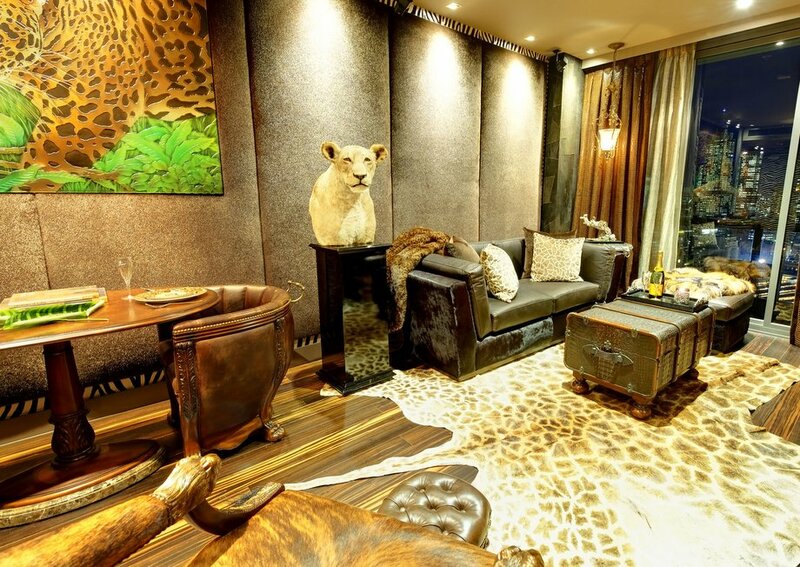 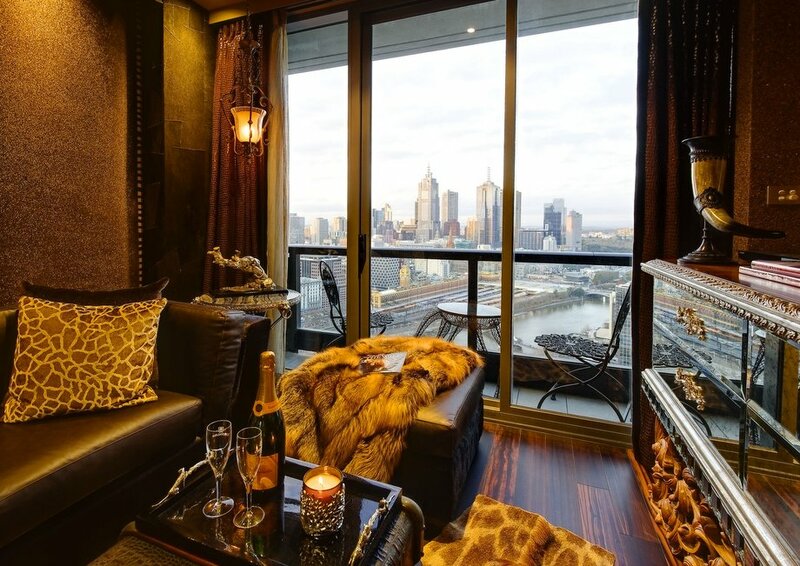 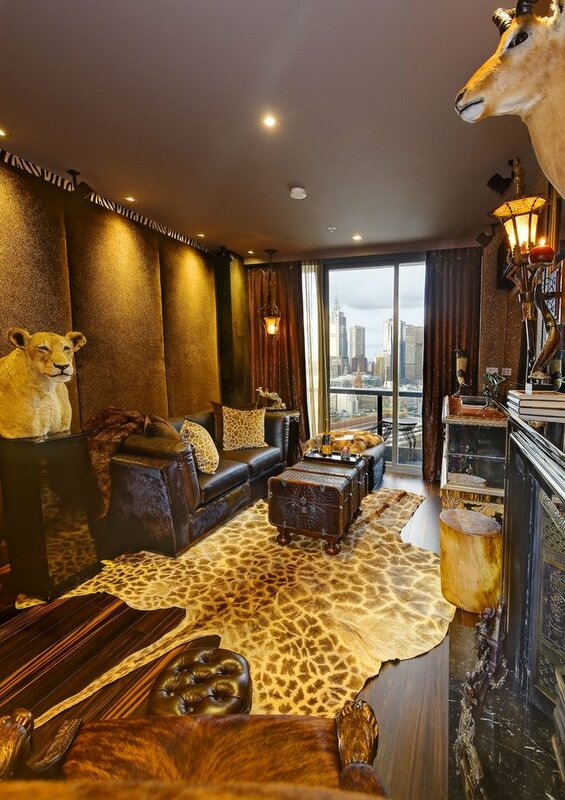 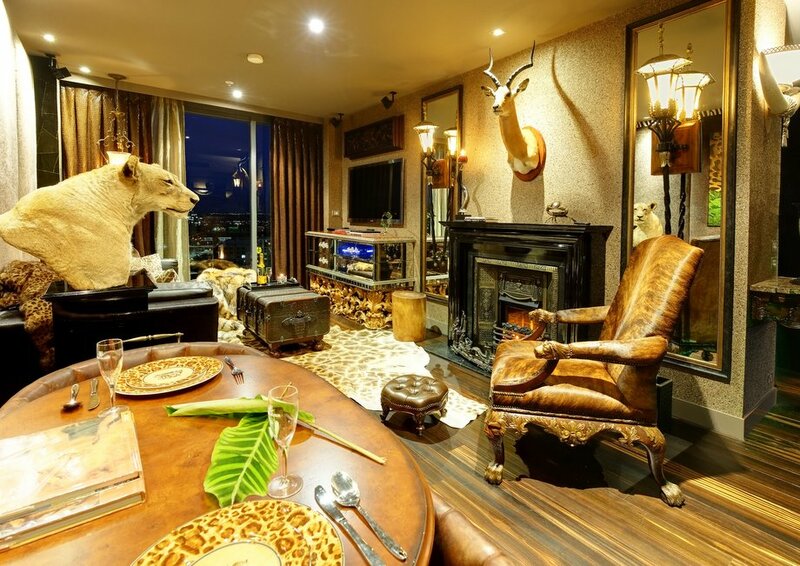 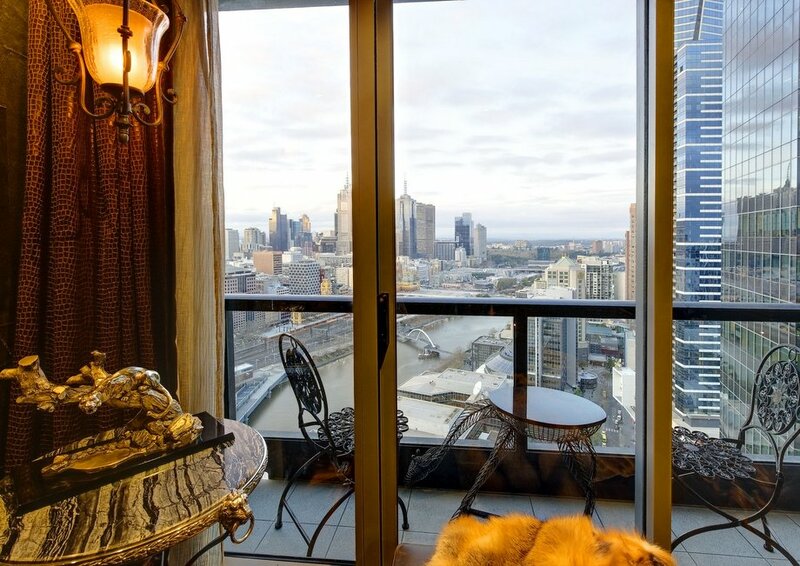 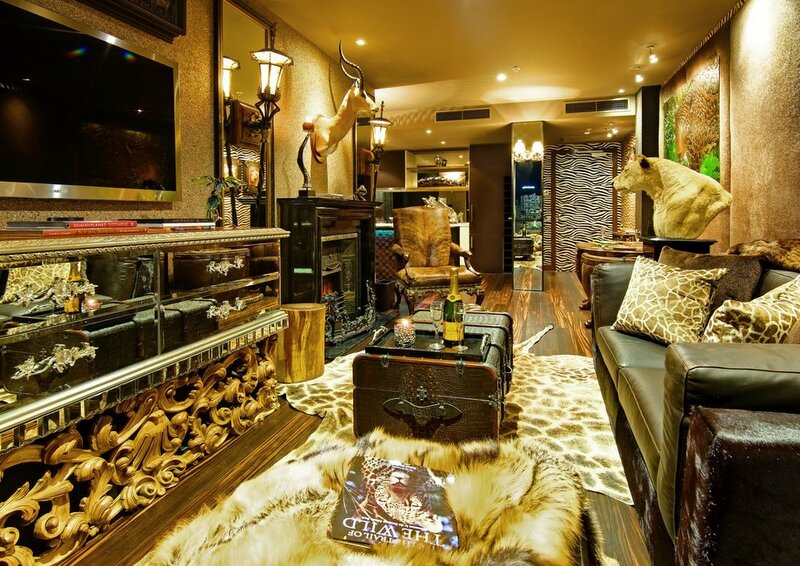 Moreover, the continuation of the African theme throughout the entire apartment – including a sleek crocodile skin motif in the kitchen and hues of smooth snake skin and leopard prints in the bathroom – creates a key consistency that ensures each room is congruent to the apartment’s core theme. 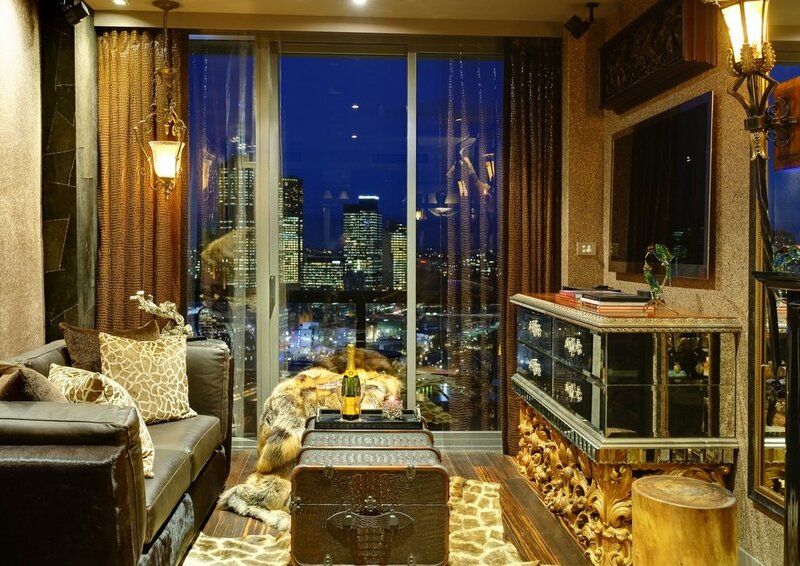 This includes an outdoor design connection through the stylisation of, and accoutrements within, the outdoor balcony. 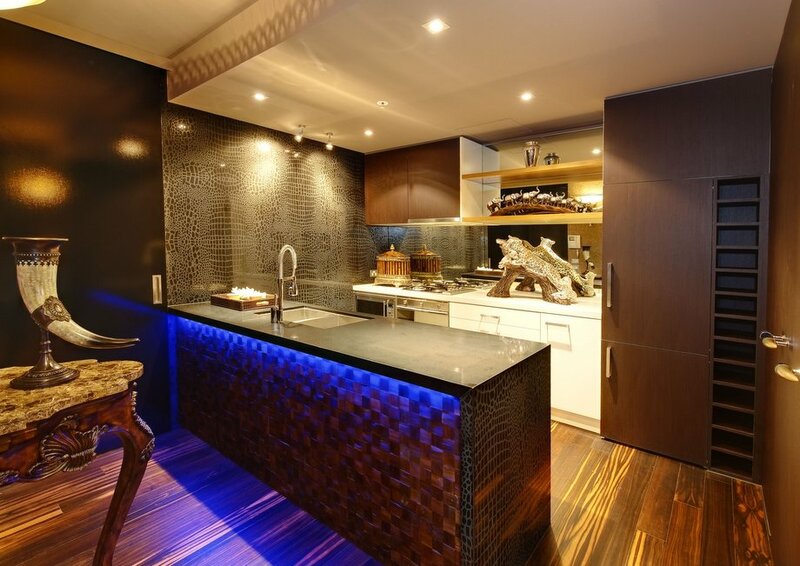 The special interior lighting effects are crucial to giving this apartment its warm glow that compliments the rich, vivid decorations. 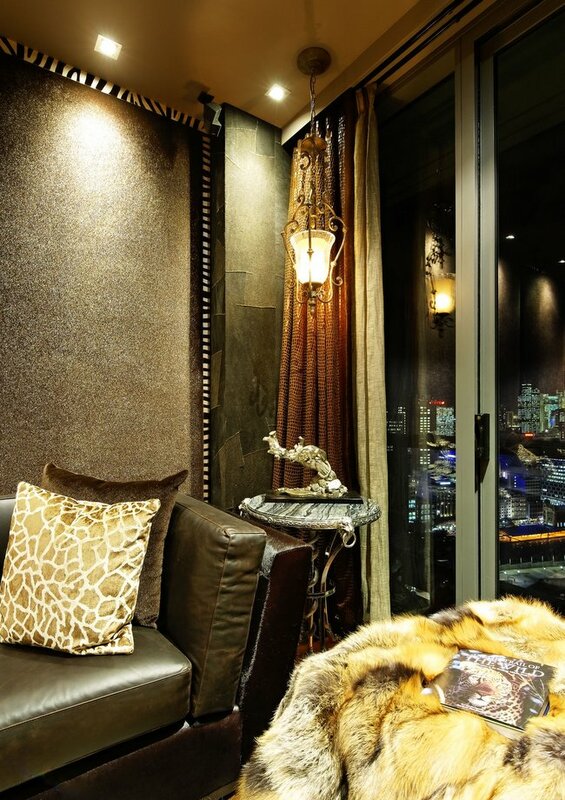 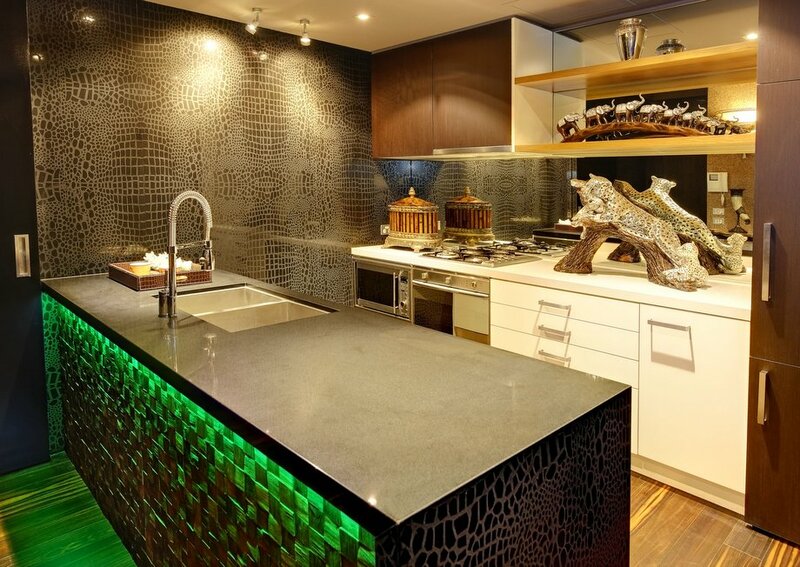 The lustrous stone of crocodile skin design in the kitchen, combined with the warmer animal fur textures and decorations, adds balance to the apartment interior finishes. 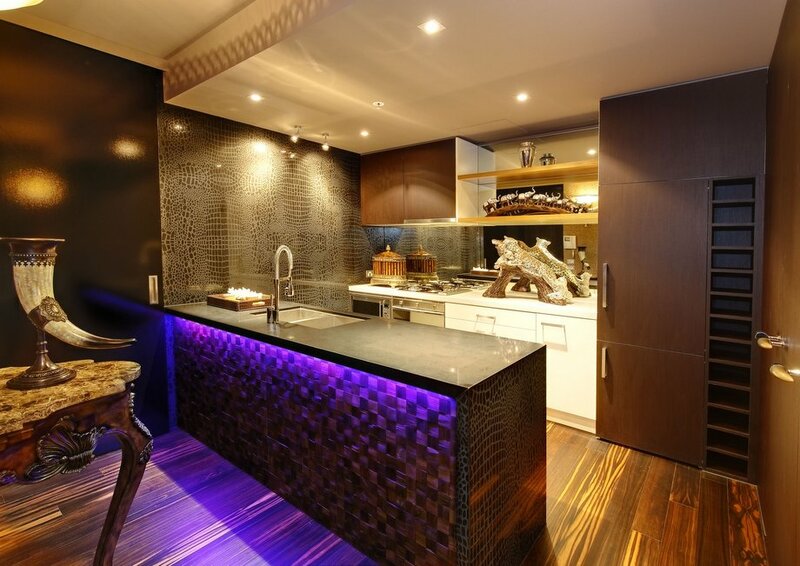 The daring and striking interior decoration envisaged by Amgad Kamel Interiors has cemented this apartment as one of the most stunning and awe-evoking in Freshwater. 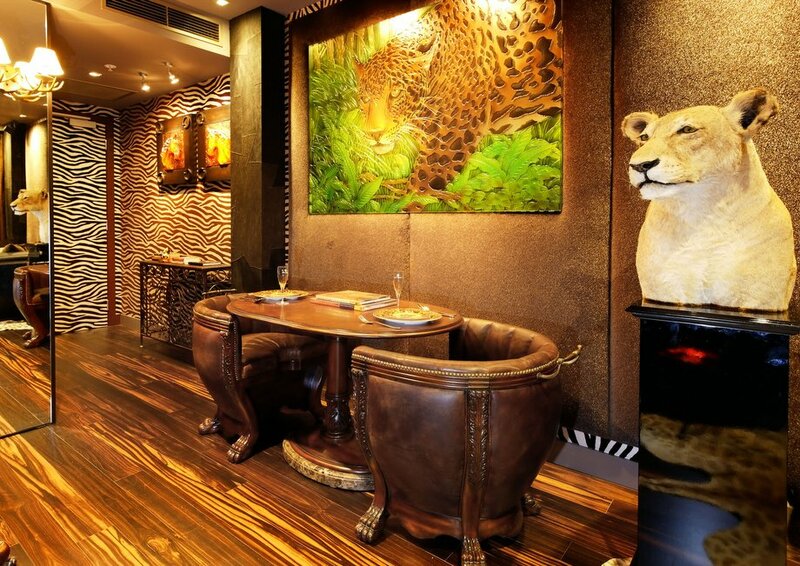 The results of fastidious attention to detail, and the use of nothing less than the best appurtenances in adorning the apartment, ensure that its distinctive east-African style and timeless visual effect are enhanced in this space.